Pamplin Media Group - Donald Allyn Nusom Sr.
March 31, 1926 to August 22, 2018: Donald and Magel established D A Nusom Orchards and farmed for 45 years. Donald Allyn Nusom Sr. was born in Gervais, Or to Allyn and Miriam Nusom on March 31, 1926. 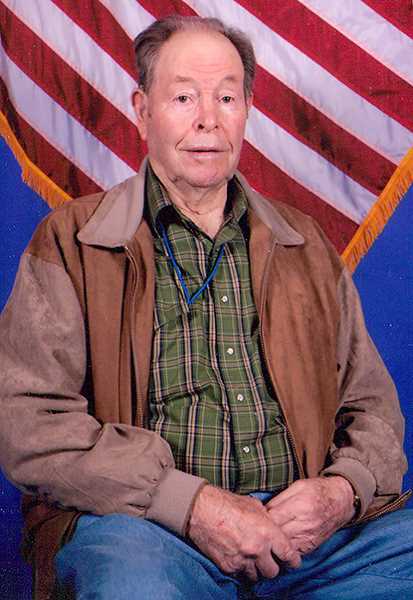 He graduated Gervais High School and joined the US Navy in 1943. He was aboard the USS Franklin during his service. After his discharge he came back to Gervais and married his high school sweetheart, Talitha Magel in October of 1947. They established D A Nusom Orchards and farmed for 45 years. They retired in 1986 and became snowbirds at their home in Apache Junction, AZ until 2011. In April of 2011 Donald and Talitha moved in to Dallas Retirement Village. He is preceded in death by his wife Talitha and son Don Jr. He is survived by his brother Dale Nusom of Portland, his two daughters Joanne Nusom of Keizer and Susan Cribbs (Boyd) of Dallas, two grandsons, Ross Cribbs (McKenzie) and Grant Cribbs, three great-granddaughters and one great- grandson. Services will be held at 2 p.m. Thursday, August 30, 2018 at Simon-Cornwell Colonial Chapel, 390 N 2nd St, Woodburn, OR 97071.